Being arrested by police for an outstanding warrant, spending the night in jail, and addressing the judge while in custody is the last thing anyone wants to happen. The better option is to address the judge to recall the warrant on your own means. Unfortunately, sometimes bench warrants are outstanding without anyone’s knowledge or they discover an outstanding warrant but have no clue why. A common misconception is that over time a warrant will be removed for law enforcement’s database. Instead, a warrant will remain indefinitely until it is recalled and quashed by the judge. You may suspect there’s a warrant out for your arrest, but it’s always a good idea to know for sure. Thus, the first step is to conduct a search to determine whether a warrant is in place, and then determine why the warrant was issued. From there, a Warrant Lawyer in Los Angeles can decide the best approach to recall the warrant without resulting in unnecessary penalties. Bench Warrants: A bench warrant is issued when a defendant fails to appear in court. Once the judge issues the warrant, the court clerk transmits the outstanding warrant into the Department of Justice database accessible to law enforcement nationwide. Consequently, any contact with law enforcement will result in your arrest. To recall and quash the warrant requires your appearance before the judge. But there are methods to recalling a warrant without your presence depending on the type of case and circumstances. Arrest Warrants: Arrest warrants are the least frequent of the three. Generally, law enforcement requests the judge sign the arrest warrant so they may legally effectuate the suspect’s arrest. To issue an arrest warrant, there must be a criminal case filed against the defendant. Police often obtain arrest warrants in serious cases where a defendant poses a threat to public safety or a flight risk. Search Warrants: Search warrants are issued by judges upon the request of law enforcement provided there is probable cause of criminal activity in the property to be searched. Moreover, a search warrant permits police enter someone’s property to conduct a search for contraband or evidence of a crime. These warrants are issued during law enforcement’s investigative stages so there is no requirement of a case filing. Online Case Search: If you have an outstanding warrant then there will be a criminal case filed against you. With the exception of a search warrants, bench & arrest warrants are issued by the judge once criminal charges are filed by the prosecutor’s office. Simply being arrested does not mean a criminal case has been filed. 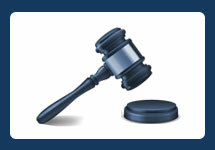 Checking online on the Los Angeles Superior Court website will reveal whether there is a pending case against you. If a pending case is revealed, then there is a strong chance the court issued a bench warrant after you failed to appear. Criminal Clerk’s Office: Any criminal courthouse in the County of Los Angeles has the capabilities of running your information for the presence of a warrant. Typically, the court clerk will ask for your name and date of birth to determine to match your information with a filed / pending case. The clerk’s office is one of the most accurate ways to determine whether a warrant is outstanding. Sheriff’s Department: Logging your information into the Orange County Sheriff Department website may be helpful when searching for an outstanding warrant. However, it may not be as accurate as the court and it’s unclear how often their database is updated. Commercial Websites: Many commercial websites offer to run your information in their national database to determine whether a warrant is outstanding under your information with a small fee. However, these websites may not be as accurate as court or law enforcement records because it’s unclear whether these sites have access to same database as the Department of Justice. Background Check: One of the most accurate ways to determine the presence of a warrant is to request a formal background check of your criminal record through the California Department of Justice. This is same database used by law enforcement and the process entails a live scan (finger printing) with a fee of approximately $50. In approximately 10 business days, the Justice Department will mail you a formal print out of your criminal record. Any outstanding warrant will be revealed on your record. DMV Driving Record: If a warrant is issued, the Department of Motor Vehicles is notified and your driver’s license then becomes suspended until the warrant is recalled. To request a copy of your DMV record, you may contact your car insurance carrier or broker and ask for a copy of your DMV record, or you can log onto the DMV Driving Record website and view your driving record for a small fee. There’s no question that you need an experienced Criminal Defense Attorney to recall your outstanding warrant. All courthouses and judge differ with respect to the procedure of recalling a warrant. 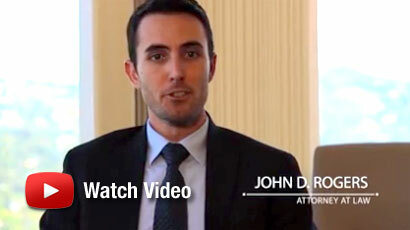 At the Law Offices of John D. Rogers, we take all necessary steps to recall the warrant without our client’s presence or ensure that our client’s don’t face severe consequences. Contact our office for a free consultation about your warrant and we will help guide you to recalling the warrant and move forward with you life. Is Making a Criminal Threat (PC 422) a Strike Offense?